A beautiful stone house situated in an old Gascon hamlet close to a number of vibrant market towns. Both the main house and guest accommodation have been renovated to a high standard, including double glazing and gas central heating. The result is a light and contemporary home, which nevertheless retains some of the original features. The spacious rooms flow effortlessly from one to another, each offering a tantalising glimpse of the gardens or the surrounding countryside. One of the outstanding attractions of this property is the charming walled garden that offers peace and privacy. This, together with the pool area, is the focal point for family life during the summer months and where meals can be taken in the large summer kitchen and barbecue area. 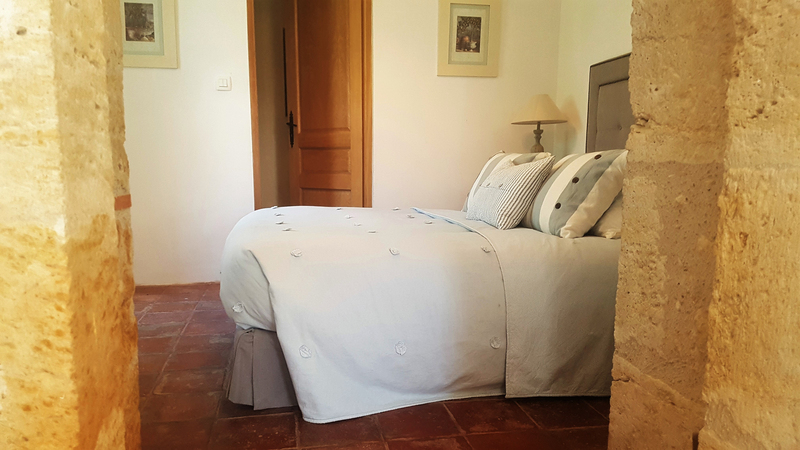 Across the walled garden opposite the house is a beautifully renovated and totally self-contained guest annex with wonderful views of the surrounding countryside and the distant Pyrenees. The modern kitchen and dining area offers over 28 sq.m. It is well equipped with stylish contemporary units, a large Falcon range cooker with a 6-ring gas hob and 2 electric ovens, an inbuilt microwave oven and a large American fridge/freezer. Next to the kitchen is a conveniently located washroom/bathroom that houses the washing machine. There is also a separate W.C. Double doors lead into the light and spacious main reception room (42 sq.m). There is a large original fire place with a highly efficient wood burning stove. French doors lead out into the walled garden and guest accommodation beyond. Next to this room is a second large reception/dining room (25.73 sq.m), off which is a storage room with generous shelving. Beyond the dining room is a further room (18 sq m), currently used as an office. Stairs from the ground floor lead to a large, light and airy reception room (over 66 sq m) overlooking the walled garden and lovely countryside views to the North. From here there is access to the master bedroom (60.30 sq m) and en-suite shower room. Off the bedroom is a separate spacious dressing room. The large picture windows in the bedroom offer stunning south-facing views across the pool garden and the Pyrenees beyond. Beyond the upstairs reception room is a generously proportioned family room, with large picture windows overlooking the walled garden and offering further stunning southerly views. It comprises two double bedrooms (19.82 sq m and 26.47 sq m respectively), a bathroom and separate dressing room. The guest quarters across the walled garden are a delight. They are located on the first floor of the old barn area and accessed from the summer kitchen via an external wooden staircase and balcony. This open-plan accommodation (70.00 sq m) has recently been refurbished to offer a completely self-contained apartment. It has a double bedroom with adjacent sitting room, a new well-equipped kitchen and dining area and separate shower room and WC. Beneath the guest accommodation are two ample garden storage sheds, one of which houses the automatic watering system for the garden. To the front of the property is the entrance courtyard with parking for two cars. On one side of this is a large garage above which is an unconverted room. This could make a wonderful studio or a further en- suite bedroom. Opposite the main entrance to the house and accessed through a stone arched gateway is the salt-water swimming pool (10m x 5m) with electric safety cover. It is located in a separate pretty orchard garden to the south side of the property. It is surrounded by mature shrubs and bushes with fig, cherry, apple, plum and pear trees. The moment we set eyes on the well-kept secret that is the Gers, we were taken by its unspoilt rural beauty – rolling hills covered in sunflowers, hilltop Bastide villages – and of course the delicious variety of Gascon food and wine. Our house is spacious, light and cool in summer, cosy and warm in winter and importantly for us it has been renovated to a high standard, not least the modern kitchen, which is a cook’s delight. What captivated us when we first saw the house was the charming walled garden full of climbing roses, vines, cottage garden flowers and herbs. The separate apartment is a particular favourite with our guests. The lovely orchard garden, where the pool catches the sun from dawn to dusk, has sweeping southerly views towards the Pyrenees. 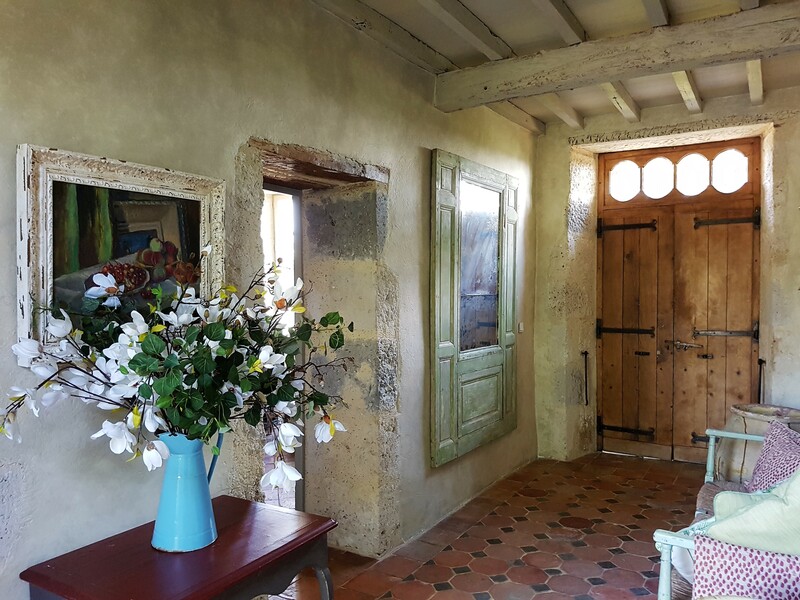 We love the relaxed Gascon lifestyle in this sleepy hamlet where the local people are so welcoming and friendly and where you feel a million miles away from all the stresses of life elsewhere. Here at Bliss we love the internal gardens, and particularly enjoyed a glass of cool rosé on a hot July day, beneath the majestic covered terrace area. (This is an ideal spot for outdoor dining and parties, with a sink and barbecue area). As lunch was served in the shade of the barn, there was a distinct sense that one was king or queen of the castle, and safe from the rest of the world. The only sound was birdsong and the promise of the house across the lawns, timeless and serene. This is the perfect home for anyone who seeks a sense of peace and tranquillity with a distinctive air of elegance! This is a very special place ….